Yoga is the one of the most natural and trusted ways to keep your heart in good health. Why? Because it stretches your body in both easy and vigorous poses with immense focus on breathing. And it is this emphasis on breathing which is works on the respiratory system and finally keeps the heart rate in check, stimulates blood circulation and increases lung capacity. Yoga has an amazing science compiled into many different kinds of breathing techniques that can keep one disease free through a lifetime. Something that needs to be practiced to understand. As a 9 year Yoga practitioner myself, I cannot think of any yoga pose that does not improve the health of our heart. But here is a hearty compilation of easy yoga asanas that can be practiced by anyone, any age and any shape to work on the health of their heart. Sukhasana is one of the basic yoga asana and suitable for yogis of all levels. This name is derived from the Sanskrit where sukha meaning “comfort”, and asana meaning “Pose”. This simple sitting posture can be done at the beginning & end of yoga practice as a mini meditation. Sit in a cross-legged position, with your right shin in front of your left. If your hips are tight, sit on a folded blanket or bolster to make it easier to keep your back straight and relax down your shoulder. Rest your hands’ palms facing up, on your knees, close your eyes, and inhale & exhale breathe with the count. When your mind wanders so it will just focus on your breath. Read more about focused breathing here. Tadasana is simply known for stretching, which forms the basis for all standing as standing asanas. It performed at the beginning and end of the Surya Namaskar (read my article on Surya Namaskar here) sequence and is a key asana for all yoga practices. 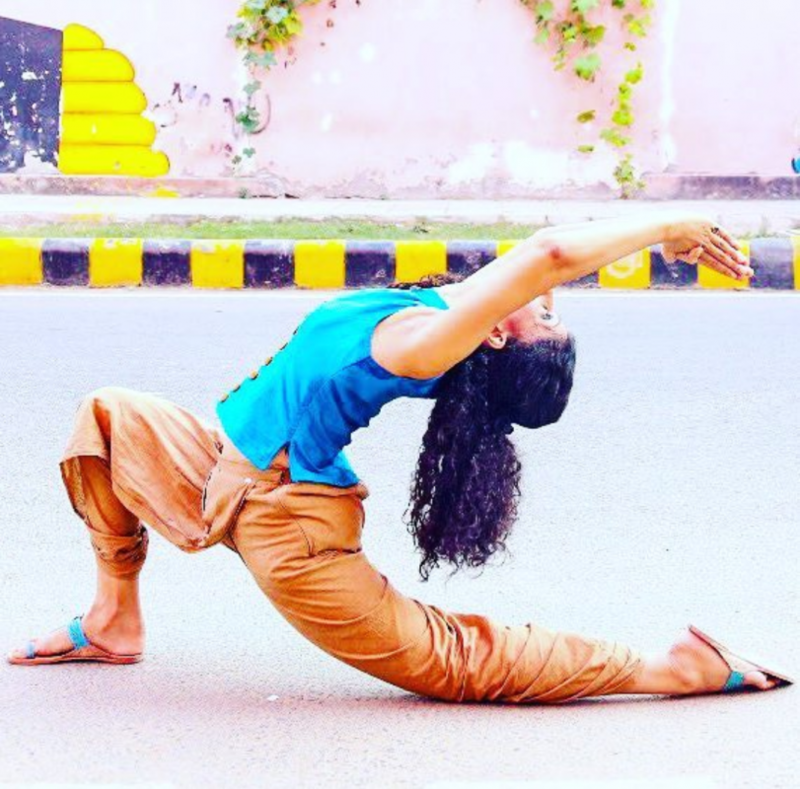 It’s a good asana for cultivating strength, sense of relaxed power and it also can be helpful for both physically and mentally grounding, and can be used to form a connection with the earth. The longer you learn to stay in it with proper breathing, the more it calms your mind and benefits your heart. And this asana can be practiced by anyone. This yoga asana pose helps to improve balance in the body and increased stamina. It also improves blood circulation and releases stress. This is a wonder asana for so many reasons. It makes your strong in the body and in the mind, you learn to open and challenge each muscle of your body. Practicing this asana for over six months keeps the heart rate in check. The right form is absolutely necessary, so it will be good to have a teacher guiding you through this asana. It is a helpful yoga asana for backend practiced from a face-down position that warms and strengthens the spine while opening the chest. This opening of chest helps to clear the passages of the heart and lungs – Which further invigorates the heart. A healthy heart comes from an improved circulation of blood and oxygen – more so from throughout the spinal and pelvic regions. Even though the tree pose is known to work on our balance, it is also supposed to bring calm and equilibrium to the mind A calm mind through a regular practice is great for healthy heart functioning. It is important to remember that yoga poses that still our mind are great for the overall health of our heart. Read my article on more balance inculcating asanas here. This yoga asana helps to increase the performance of the spine by twist mode. This twist works on the whole spine on both left and right sides which opens up the sides of the chest and this activity stimulates the heart. Also remember all twist asanas are great for detox which is basically improving your digestion. This is an easier variation of the triangular pose. It is a heart opening yoga asana in which standing posture designed to promote cardiovascular exercises. The chest expands while breathing and becomes deep & rhythmical. It helps to increase stamina also. The increased rate that one experiences while practicing the posture is one reason why it is generally held for a shorter period of time which, teaches the body how to ramp up heart rate quickly as well as lower heart rate quickly. Also great for stamina building. Another heart opener that stretches the chest, neck and spine. You really have to stay in the heart opening asanas to understand and feel how they calm the brain which relieve stress and mild depression. Practicing this asana at the end of a long day helps in getting rid of anxiety, fatigue, backache, headache and even insomnia. This is a very easy yoga asana to relieve the stress level and helps to get relax. You stand in Mountain Pose and gradually exhale as you bend from the hips and grasp your big toes by thumb, forefinger and middle finger of each hand. It gives a brilliant stretch in the hamstrings and calves. It is a great asana for building strength in your lower body, calming your senses, gives you focus and has been recommended to patients of depression too. Th Yogic deep rest form is Savasana. After 20 -30 minutes of deep stretching, savasana helps to relax the body as we make a conscious effort to breath deeply in all parts and organs of our body. A gradual calm settles into the system which in turn is a wonderful stress buster also. There is no doubt that it can improve the overall health of the heart and body. Great health from Yoga comes with constant practice over a period of time. If you have a near and dear one who could benefit from inculcating Yoga in her life, share this article with them which talks about the lifetime benefits of yoga.